The Ultra Europe lineup is out! Armin van Buuren, Afrojack, Alesso, The Chainsmokers and DJ Snake are all part of the phase two announcement! Swedish House Mafia are headlining this year, see the lineup poster farther below for a complete lineup. Ultra Music Festival Europe 2019 in Croatia is an extension of Ultra Miami, as it goes worldwide! Check out house music, trance, dubstep, electro and more! The first wave of RESISTANCE artists is Adam Beyer, Carl Cox, Jamie Jones, Joseph Capriati, Maceo Plex, Marco Carola and Richie Hawtin. Ultra Europe tickets are now on sale! It's a hook up of electronic musicians and minds, gathered together for 3 days of music, experimentation, and parties in the sun! You get a stacked lineup of electronic music and EDM genres in both a stadium environment and beach parties and boats! The official Ultra Europe dates are July 12 - 14, 2019! It happens on the Adriatic coast in Split, Croatia for the big part of the festival and Hvar Island for the Ultra Beach party. There are four amazing destinations: Split, Brac, Hvar and Vis. 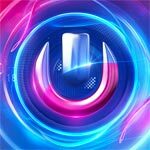 The Ultra Music Festival Europe 2019 lineup and Ultra Music Festival Europe 2019 tickets are below! Ultra Europe always has the best boat parties! Ultra Music Festival Europe tickets are on sale! 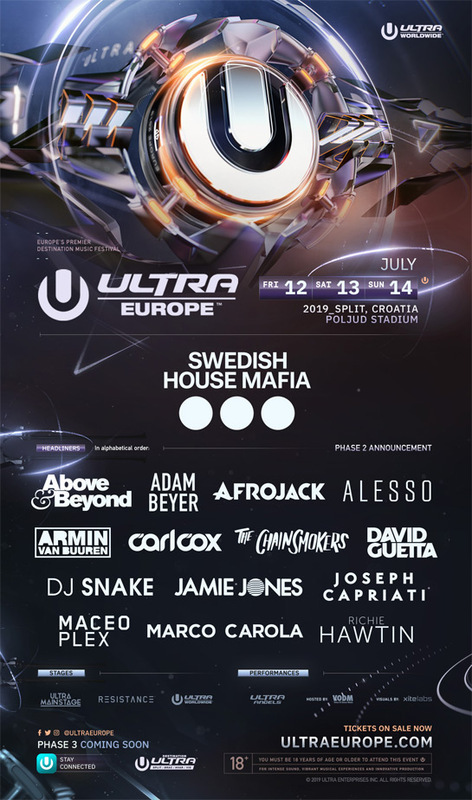 The Ultra Music Festival Europe lineup for 2019! Who do you want in the Ultra Europe lineup?